What do you Wash your Clothes in? Hot, Cold or Warm Water? Its that age old question – what water temperature do I use to wash my clothes? Should I use the same temperature for each wash? Does the temperature of the water help get stains out? These questions are asked by many of us and probably most people like me generally wash on cold water because it’s just how they were taught to do the washing years ago. When I started discussing this at Tri Nature HQ, I was asking why I was having some trouble with the stains from my daughter’s day care clothes (which just weren’t moving) and it had nothing to do with the washing powder but all to do with the water temperature. The team advised me on the below benefits and disadvantages for different water temperatures. Benefits - Extremely effective at removing dirt and oil from heavily soiled fabrics and has the potential to kill germs. Disadvantages - Hot water has the potential to fade clothes faster and cause some fabrics to wrinkle or shrink. Benefits - Generally suitable for all colours and suitable for fragile fabrics that are deemed machine safe. Disadvantages - Both liquid and powder detergents generally take longer to dissolve in cold water. 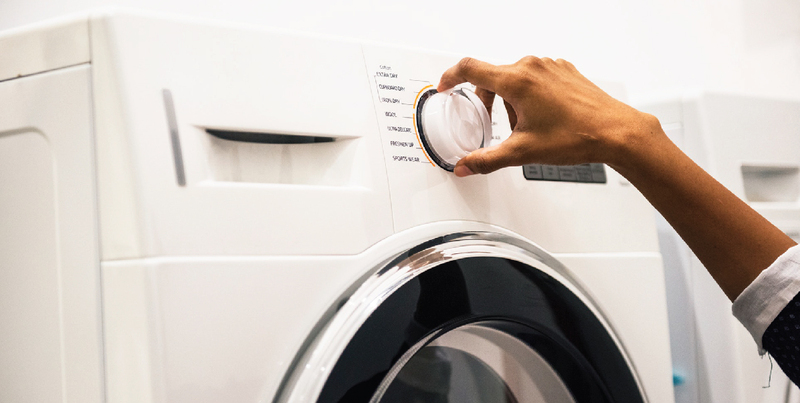 This can potentially lead to dull clothes and detergent particles. Cold water also won't kill germs. Benefits - Effective on commonly soiled clothes, but this depends on how heavy the stain. Pre-Soaking is required if heavily soiled. We use our Alpha Plus Pre Wash Soaker. See our blog on soaking for more information. Disadvantages - It won’t kill germs but don't stress - you can add a disinfectant to achieve this goal. Why not give our Sphagnum Moss Disinfectant a try - Not only is the product full of plant active superpowers, but is also infused with an essential oil based fragrance that makes your clothes smell just amazing! If smells isn't your thing, add our Sanazone Odourless Disinfectant. We recommend ~1 capful of either Sphagnum Moss Disinfecant Concentrate or Sanazone Odourless/Lemon Myrtle Concentrate per wash added to the rinse cycle. So now I use my Tri Nature Alpha Plus Laundry Powder in my machine with warm water - her clothes have never been cleaner and have never smelt better!